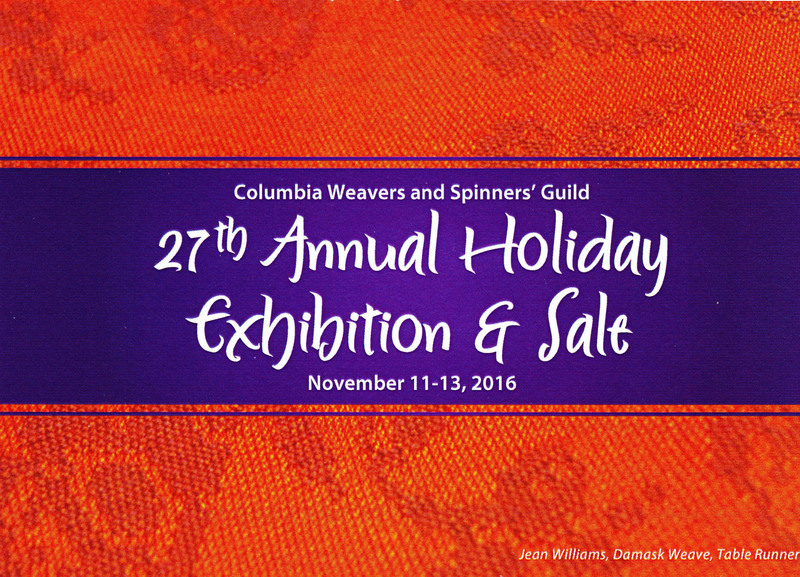 The annual Holiday Exhibition and Sale for our local Columbia Weavers and Spinners Guild has just finished. Those participants selling, and many fellow guild members besides, put in hours preparing our wares for the big weekend and so enjoy each other’s company for the three day event. I only do this one local event each year and I have great respect for those who sell at multiple events throughout the season. Just the set-up and take-down require a lot of energy, muscle, and forethought—how best to display and how best to store for another event. But before the weekend ever arrives, there is also all the loving labor that goes into each piece. 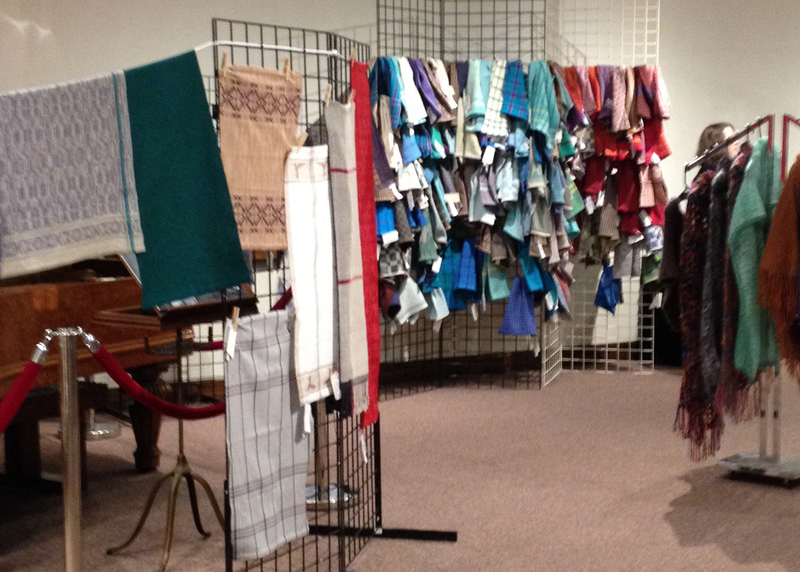 Those of us who produce to exhibit and sell soak up the inspiration of seeing how others use their talents. And we usually support each other generously and treasure each item we bring home! And of course we take notes for 2017. Always planning ahead. Always room for improvement. Isn’t inspiration great! 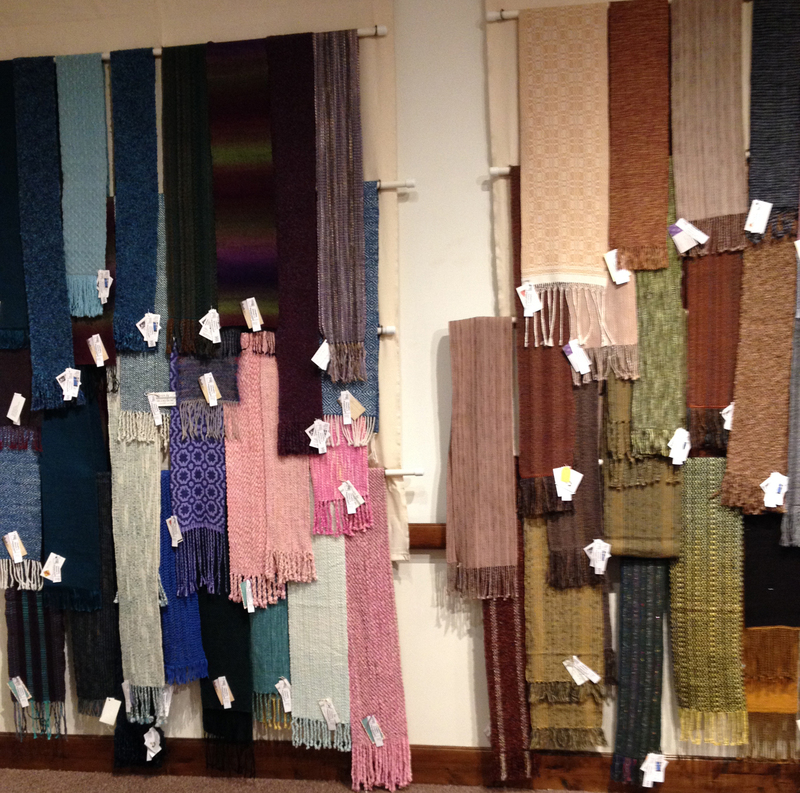 Have you been to any local art fairs lately? I’ve never done one of these events but I’d really like to. Like you, I can’t imagine multiple events and am impressed by people who make their living that way! What a commitment!